Motorola could soon release the Moto Z4 Play. Based on new leaks, the phone could have a lot of cool features for a mid-ranger. 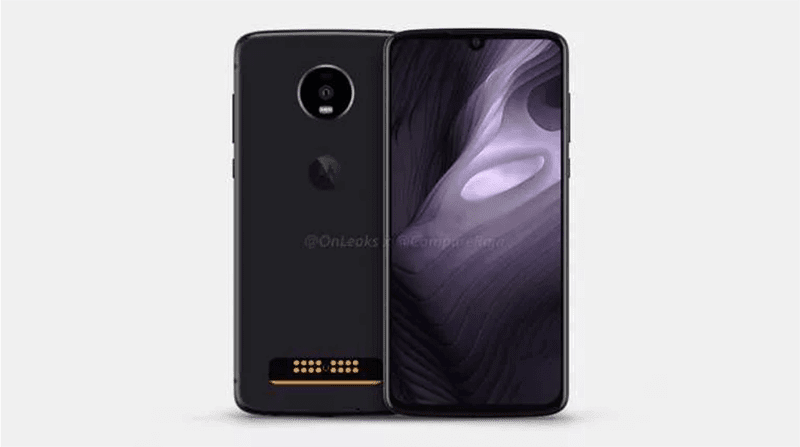 First off, Moto Z4 Play could arrive with a 6.22-inch display with a halo notch. It is expected to be the first Moto phone with an In-Display fingerprint scanner, so the screen they used should be an AMOLED panel. Under the hood, the phone is powered by Qualcomm's SM6150 processor which is also known as the 11nm Snapdragon 675 chipset. It is paired with 4GB or 6GB RAM, 64GB or 128GB storage, and 3,600mAh battery capacity. On the camera part, it will have several cameras. One of them is a 48MP sensor. We are not just sure if it is a Sony or Samsung sensor. The handset boots with stock Android 9.0 Pie OS out of the box. The leaked renders also showed that the smartphone has magnetic pins behind for modular accessories, also known as the Moto Mods. Motorola is expected to launch the said phone in the first half of 2019.